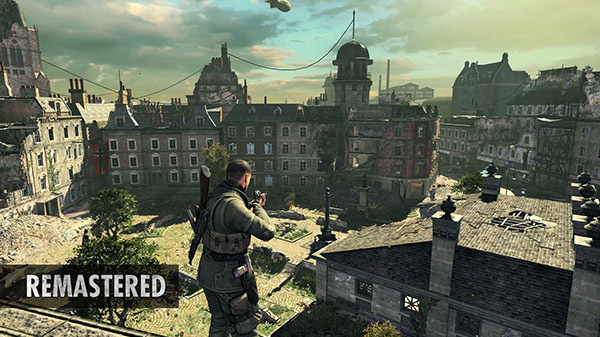 Sniper Elite V2 Remastered will launch for PlayStation 4, Xbox One, Switch, and PC on May 14 for $34.99 / £29.99 / €34.99, developer Rebellion announced. The console versions will be available physically at retailers via distributor Sold Out. Pre-orders for the digital edition will include a 10 percent discount, and users who already own the original Sniper Elite V2 on Steam can upgrade to Sniper Elite V2 Remastered for $9.99 / £6.99 / €9.99.